Today was an extremely busy day! All I can think about is putting my feet up and relaxing. 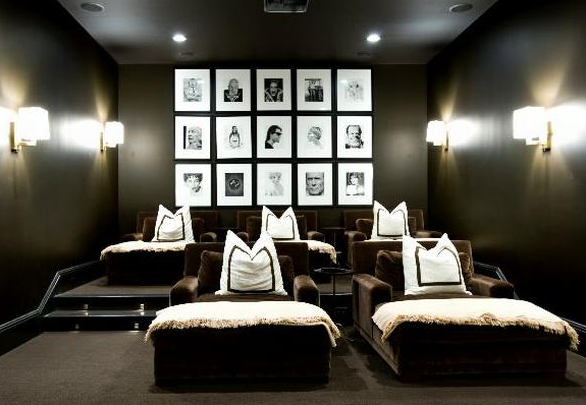 I just read a recent blog entry over at Things that Inspire and these pictures of a gorgeous chic media room caught my attention. It's a home in Atlanta (seems to be the theme for me this month) that is for sale. I'm dreaming about lounging around in this room! Wouldn't that be fabulous after a long hard day! It is really speaking to me with those dark cozy walls and the beautiful white fluffy pillows and throws. Seems awfully practical for kids too! 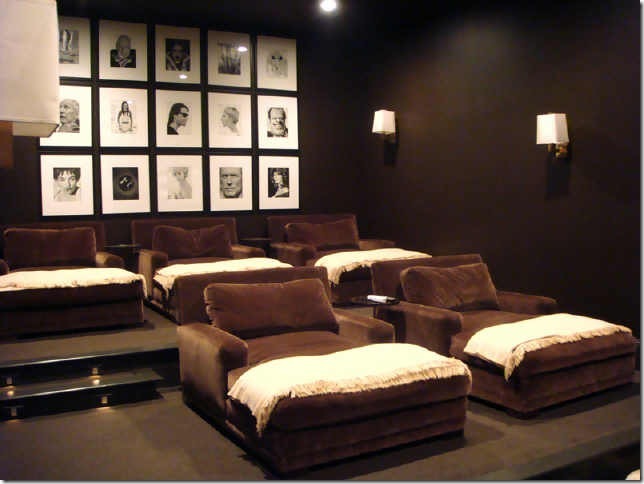 I don't know about you but being in this room would be divine right about now!!! Ahhhh to dream a little. For a design consultation with me or to see more before and after pictures, go to my website (DecRenew Interiors).